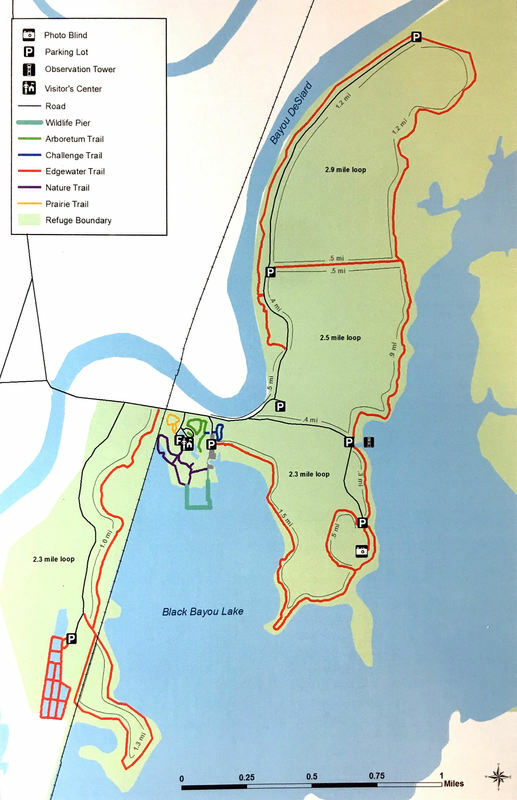 Refuge Trail System. 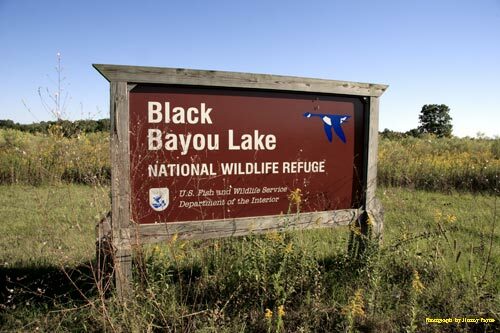 Black Bayou Lake National Wildlife Refuge offers five maintained trails for those seeking quality outdoor experience in a natural setting. 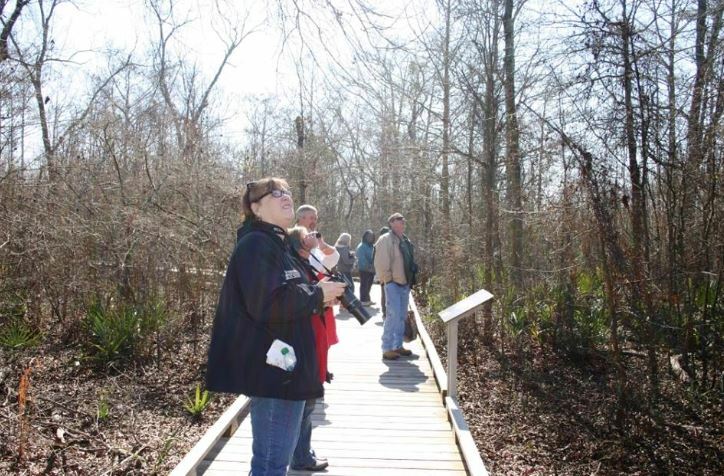 In addition to the health benefits of walking, the trails provide opportunities for wildlife observation, photography, education, and inspiration. 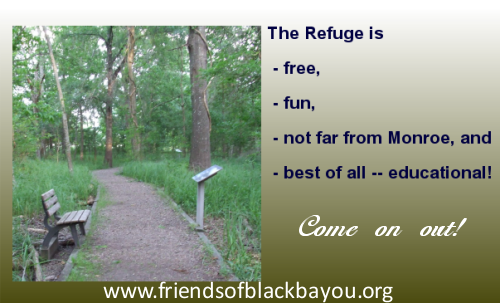 The refuge was established for wildlife habitat, and the needs of WILDLIFE come first. As you enjoy the trails, please remember: YOU are the visitor in THEIR home. ​Note: Dogs on a leash are permitted on all with the exception of the Challenge Trail. Trails are open every day of the year during daylight hours. Pets must be kept on a leash at all times. No dogs on the Challenge Trail. Motorized vehicles and bicycles are prohibited with the exception that Edgewater trail is bicycle accessible. Do not pick flowers, gather leaves or remove ANYTHING from the Refuge. Trail maps are available in the Visitor Center. The prairie trail is located in front of the Visitor Center. Historically, Louisiana had more than 100,000 acres in praire, most of which has been reduced to remnants along railroad tracks. Prairies are grasslands which provide important host and food plants for the entire life cycle of many species of butterflies and other insects. In the refuge prairie demonstration area, spring and summer bring the opportunity to see wine cup, primrose, a variety of sunflowers, including purple coneflower and Indian blanket and other native flowers. The Prairie Trail is a concrete trail approximately one-third mile. 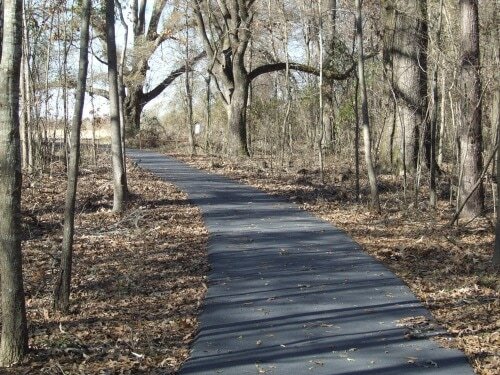 ​The crushed asphalt/boardwalk nature trail starts near the visitor center plantation bell. As you wander through the seasonally flooded bottomland hardwood forest, you will be in a wetland where the soil, plant community, and wildlife are inseparably connected by water. Look for birds, frogs, lizards, snakes and evidences of deer, raccoons, and other animals. Let the 13 inspirational panels along the trail help you make your own connections with nature. The wooden wildlife pier can be accessed from the pier parking lot or the Nature Trail. Walking on the pier, you can enjoy a panoramic view of the lake and its wildlife. Look for alligators along the shore, turtles on a log, pied-billed grebes fishing, and herons and egrets sitting in the moss-draped trees. Enjoy a walk around the mounds and on the winding paths of the Arboretum Trail near the Conservation Learning Center. 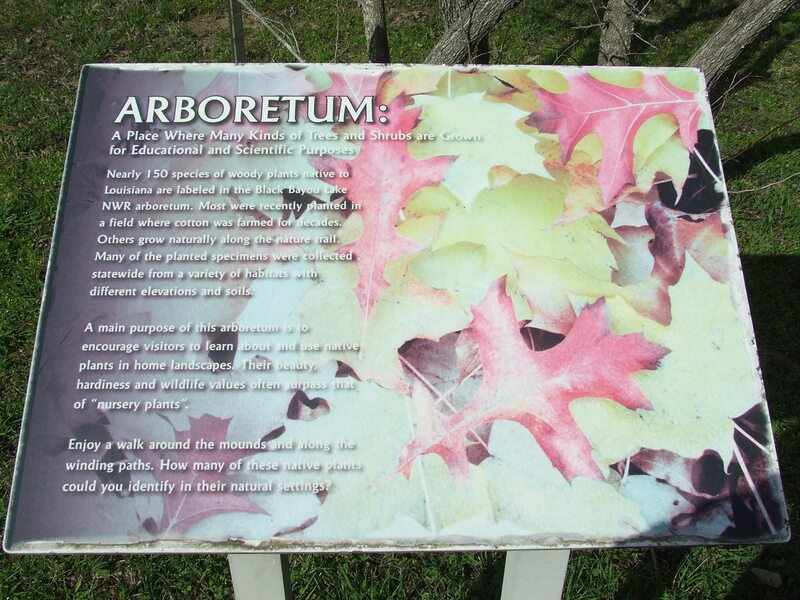 ​150 native Louisiana species of woody plants and trees are labeled in the arboretum. Many of the species planted along this trail naturally occur in habitats with different elevation and soil types. The beauty, hardiness, and wildlife value of native plants often surpass that of "nursery stock." 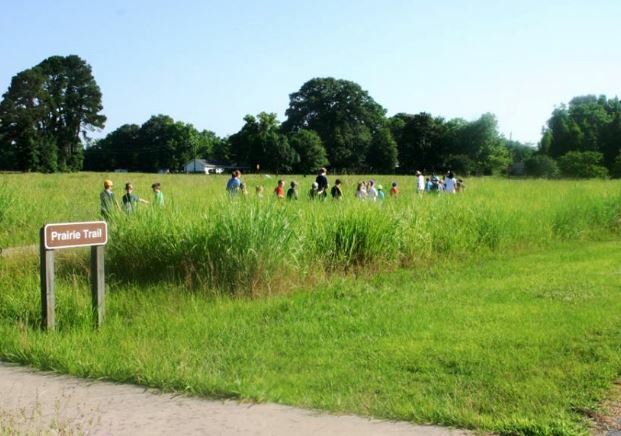 This short loop trail has 10 activity stations where your child can compare his abilities with those of local wildlife. 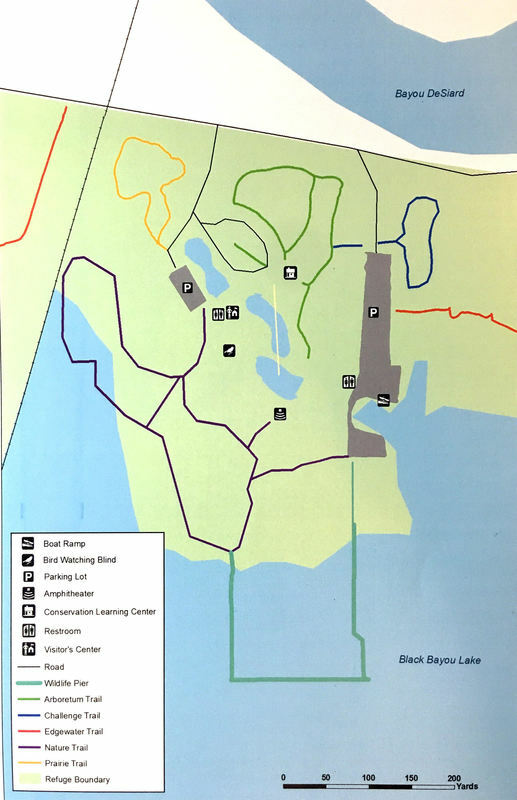 The Wildlife Challenge Trail can be accessed either from behind the Conservation Learning Center or from the boat launch road. Have fun while exercising and learn about wildlife, habits and habitats. Activities such as hopping like a frog, leaping like a panther, hanging like a bat, or climbing like a spider provide you and your child enjoyable challenges. The longest trail is mown grass, and is accessible from six (6) refuge parking areas. The Edgewater Trail follows the western edge of Black Bayou Lake then loops back along approximately two miles of Bayou DeSiard. Much of the trail encircles former agricultural fields which have been reforested with 14 species of bottomland hardwood trees. Cotton was raised on this land for over 100 years prior to 2001. This trail offers the opportunity to view native wildlife, such as birds, deer, bobcat, rabbit, coyote, and squirrel. All photos are copyrighted and used here with permission. This Page Header photo was taken by photographer Nancy Blackwell and is used here with permission.